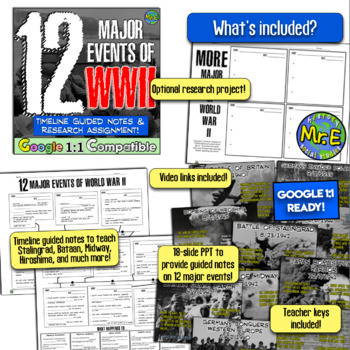 12 Major Events of World War 2: Timeline Notes + Research Project for WWII! World War 2 Unit! 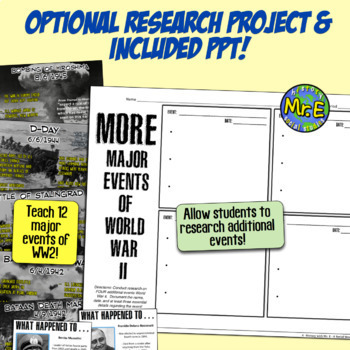 10 WWII Resources for Nazi Germany, Holocaust, FDR, Potsdam! 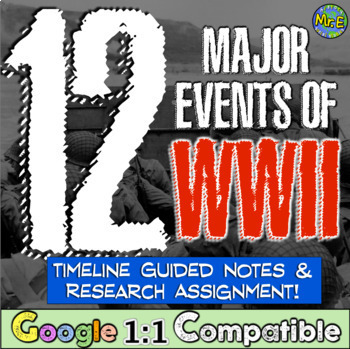 Included are two pages of timeline notes, an 18 slide PPT with video links included, and an optional research extension project is included to hit additional events of this massive war! 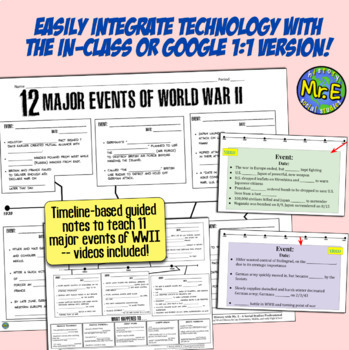 A teacher key and a Google 1:1 version are also included!